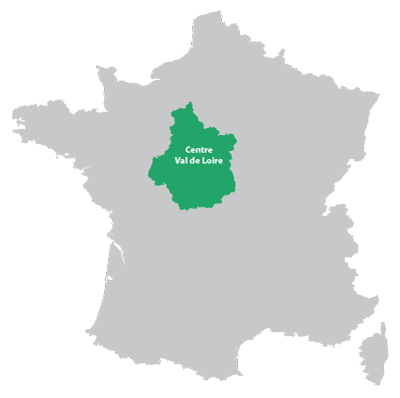 This is the physical centre of France. 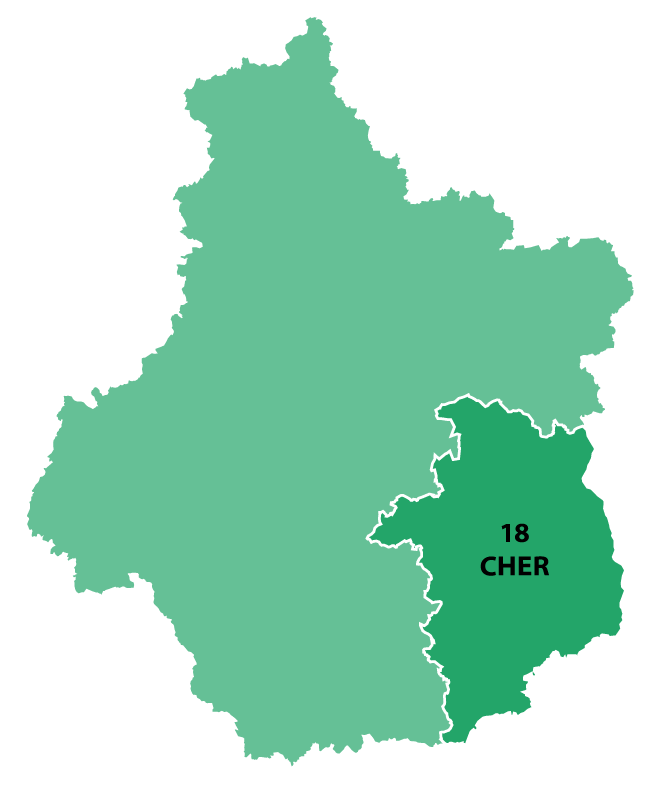 Located in central France and named after the river Cher. The department used to called the Berry. On the Western side of the Loire river, there are many Chateaux. The main city of Bourges has a very good annual musical festival. The castles in the area are not as famous as other departments, there is still much to visit, for example the village of Apremont sur Ailler. With regards to wine the town of Sancerre has excellent white and lesser know red wines. If you are cruising on the canal Lateral to the Loire, make a halt below Sancerre or La Charite sur Loire. Lost in the centre of France this town is divided into three parts as the rivers Yevre and Voiselle Rivers grow and then join the Cher. The Gothic Cathedral of St Etienne (listed with UNESCO) stands high above the buildings. 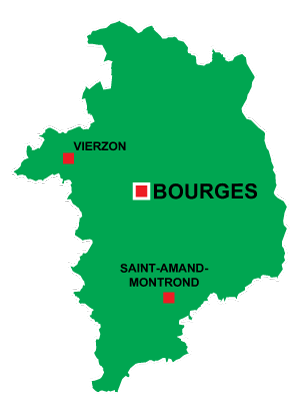 There is also famous msuic festival called the Printemps de Bourges.